I doubt if any one from my generation have never try eggs and if they try, never like eggs. Of course they are some unfortunate people in this world that have egg allergy and can only have cakes or other cuisines that are eggless. Bearing this in mind, I would think that majority of the people (at least in my circles of friends) would not reject the offer of a simple fried egg dish to go with their meal. This is an updated post that I have issued a year ago. Due to some technical reasons, I can’t retrieve my old files and have to treat this an a new post. 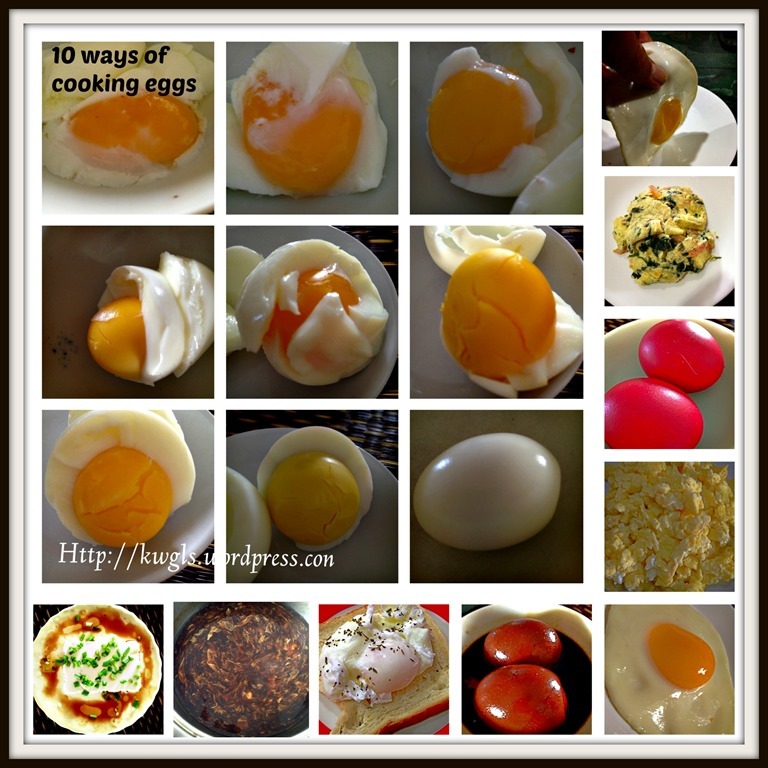 Hope this will benefit new house chefs who are looking for advise on cooking eggs. To have perfect soft boiled eggs and hard boiled eggs, there are some timings that need to be followed An over boiled egg will have solid egg yolks slightly bluish in colour. 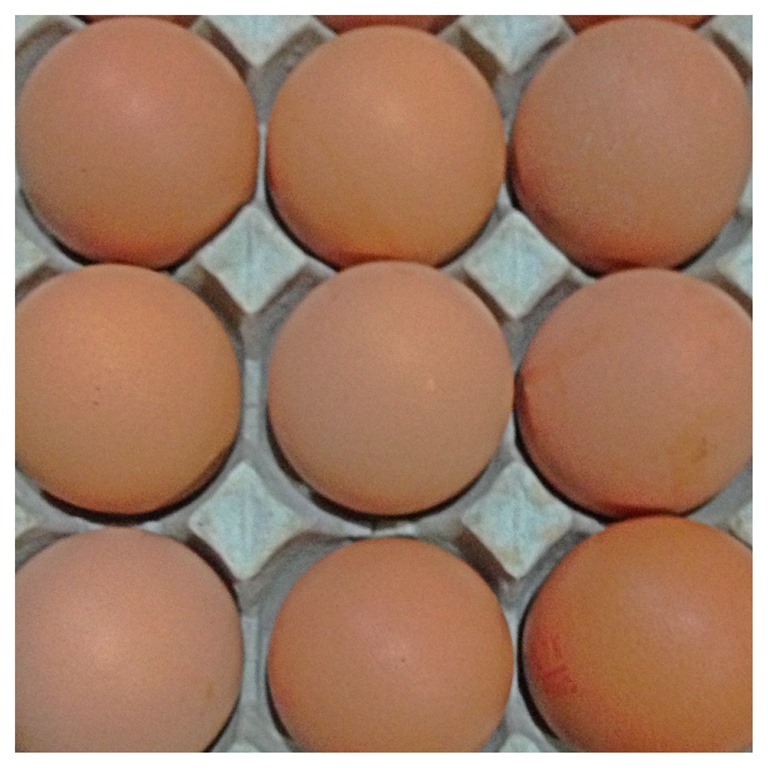 If it is fresh farm eggs, additional 5 minutes is needed. It is easier to boil eggs keep in the refrigerator than those keep at room temperature. 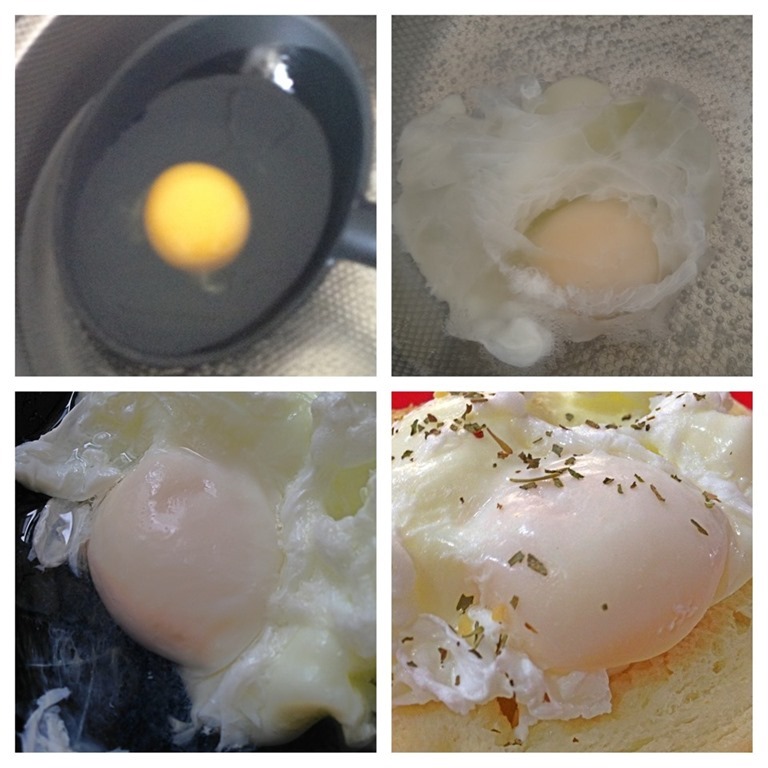 4 minutes – the white and yolk are set, with the centre of the yolk still creamy. Any further timing than this will result the eggs yolks to start turning to a bluish colour. Please note the colour changes of the egg yolks. 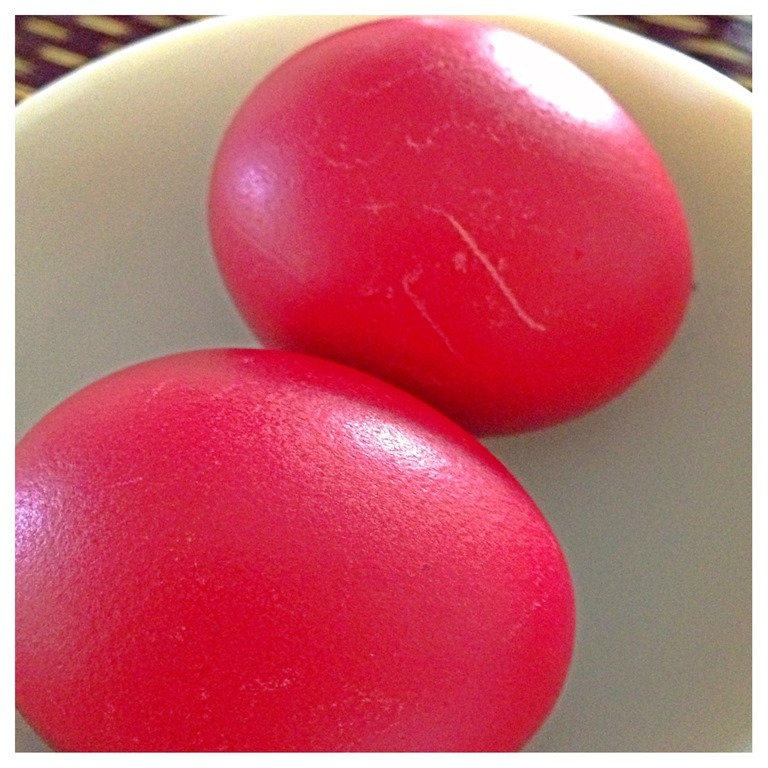 At birthday or other important occasions, Chinese like to colour their eggs red. If you do not colour the eggs properly, the eggs will stain your hand or when you touch it. Therefore, it is important that your eggs do not lose its colour when you hold it. In a bowl, put some colour gel or permitted food colouring. Add few drops of vinegar. Stir well. When ready, transfer your hard boiled eggs directly from the pot that it was cooked and use a spoon to roll the eggs. The hotter the egg, the easier it is. Continue rolling until you get your desired colour tone. It will dry very fast because of the heat inside the eggs. Look for any areas not covered with the colouring and make sure the colour is as even as possible. 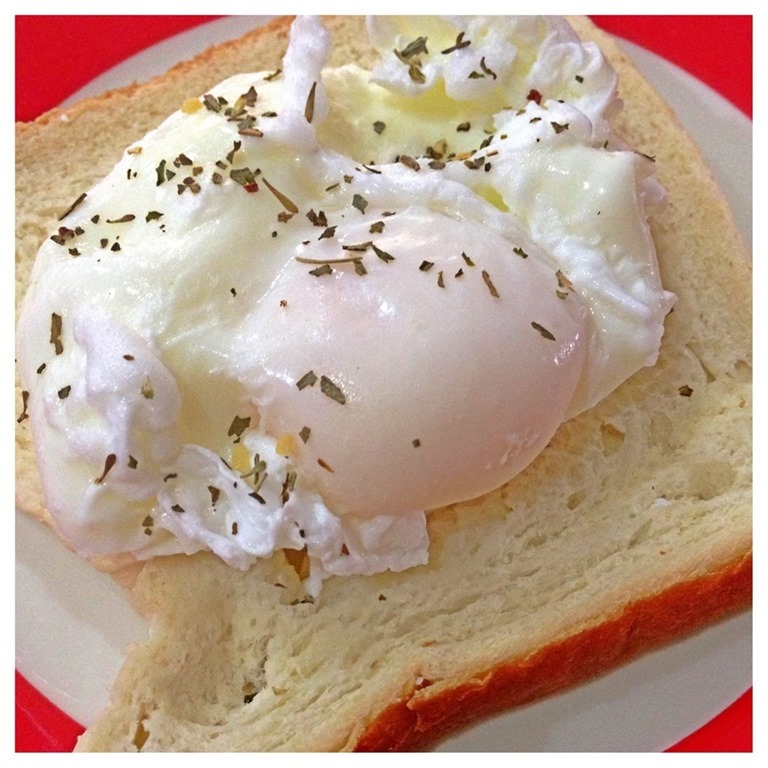 A poached egg is consider as perfect if all the egg whites are cooked and the yolks are still runny. It is good to be served in soups or with breads. In a hot pot of water, add one teaspoon of vinegar. Let it boil under high heat and once boiled, turn down to low heat and let it simmer. 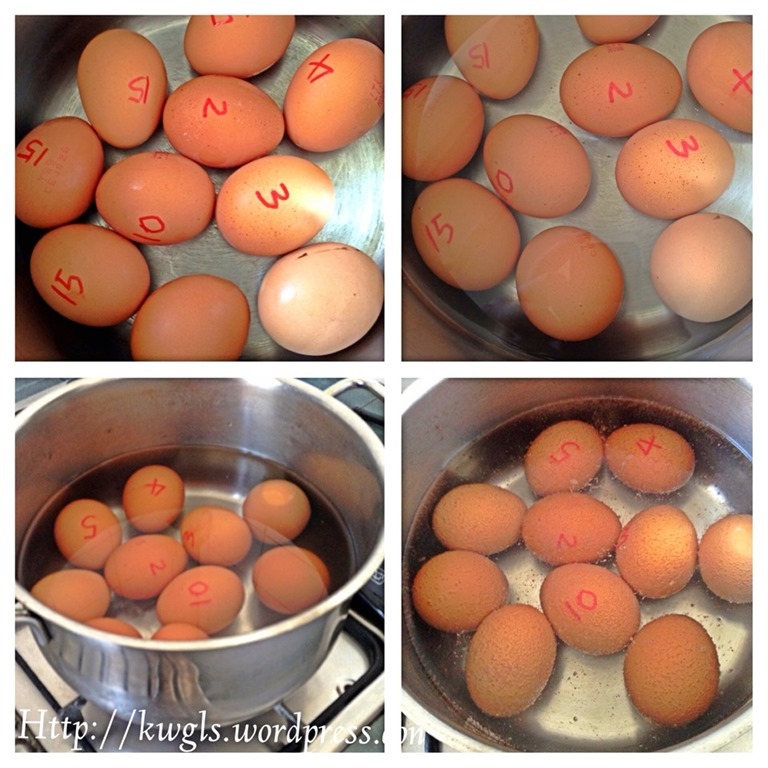 Crack your eggs in a bowl or some kitchen utensils, slowly place it in the water. Don’t stir the water. If you want to stir the water, it must be done in a circular motion quickly such that the egg whites would not dispersed the the near by areas. Let it simmer until all the egg whites solidify. In a big mixing bowl, put some eggs. 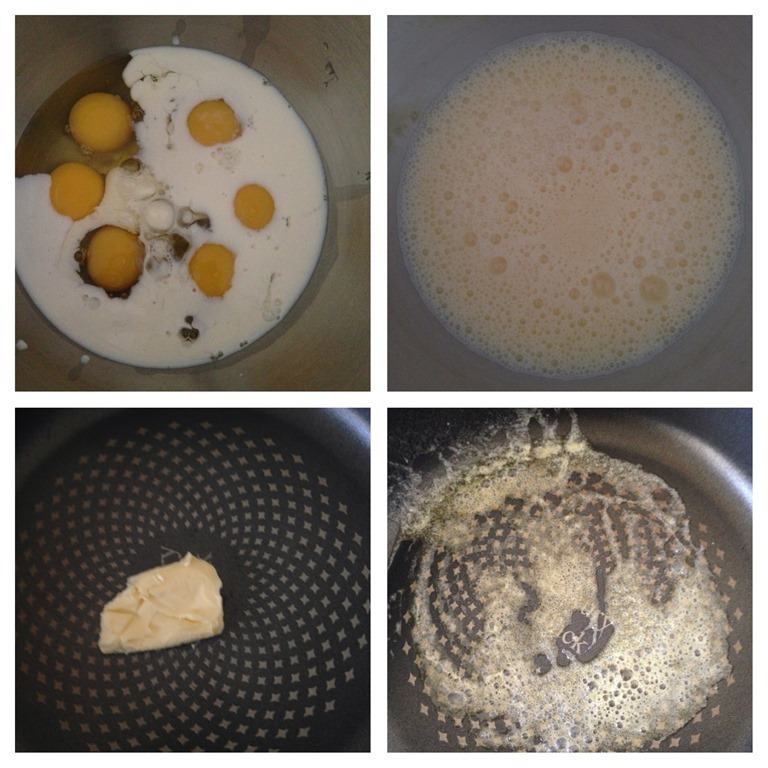 Put in some milk and beat until the eggs are well “mixed”, The purpose of this step is just to ensure the egg yolks and the egg whites are well beaten, You can also used a hand whisk to whisk it. In a frying pan, put in some butters (or other cooking oils of your choice) and melt the butter. Pour in the beaten eggs and constantly stir it. Once the eggs have solidify into smaller curds, off the heat, add in seasonings such as salt and pepper and scoop up to a plate for servings. In this illustration, I have prepared seaweed omelette with tomatoes. 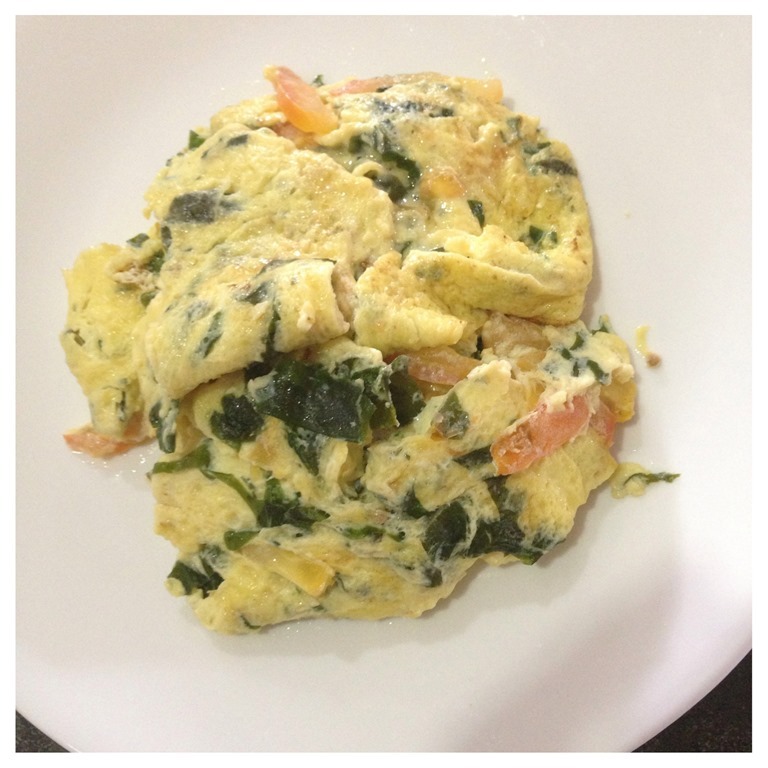 An omelette is deemed perfect if both sides have solidified whereas the insides are still moist but not runny. Milk is usually used to achieve that effect. Please refer the scrambled eggs above. Follow the steps as mentioned in scrambled eggs above. 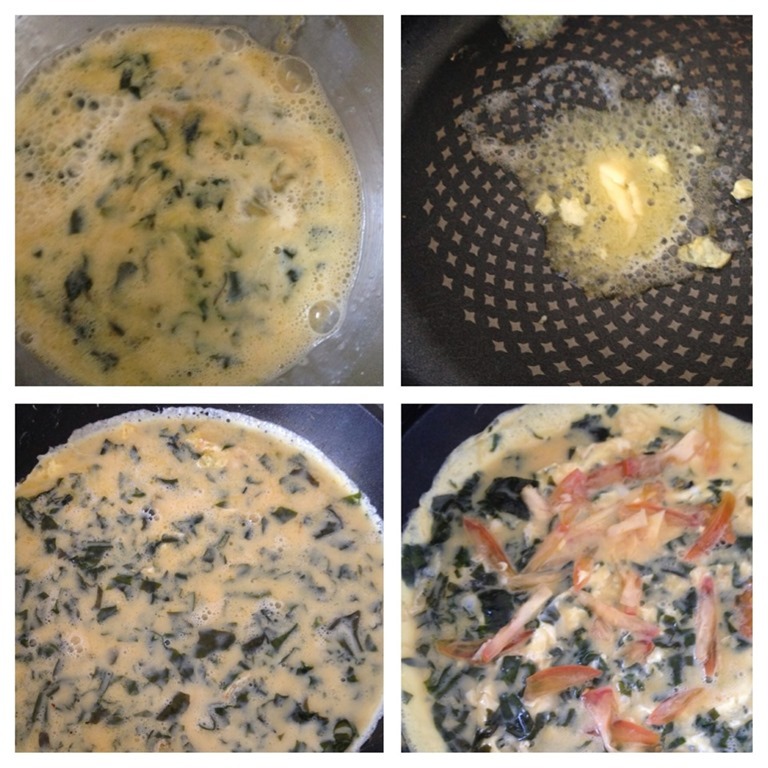 Add in the seaweeds to the eggs. Add seasonings or your choice. In a big shallow frying pans, add in the seaweed beaten eggs. Let it fried the bottom layer start to solidify. Add in cut tomatoes strips and when all the eggs are not runny in the centre, fold into half. Chinese like to braise eggs and usually the eggs were braised together with meat broth such as from braising of ducks, pork belly etc. It appeared in Chinese cuisines such as Kuey Chap, a Teochew type of flat broad rice sheets and served with dark braised meat broth. In a sauce pan, stir fry big pieces of galangal, garlics and gingers until aromatic. 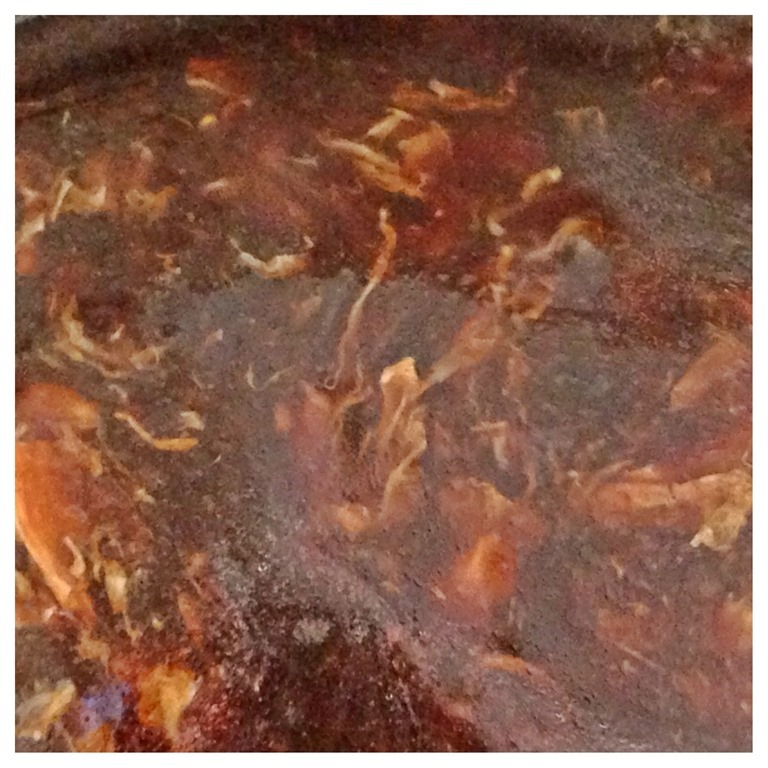 Add cups of dark soya sauce diluted with adequate to cover the meat or eggs that are to be braised. Bring to boil under high heat. 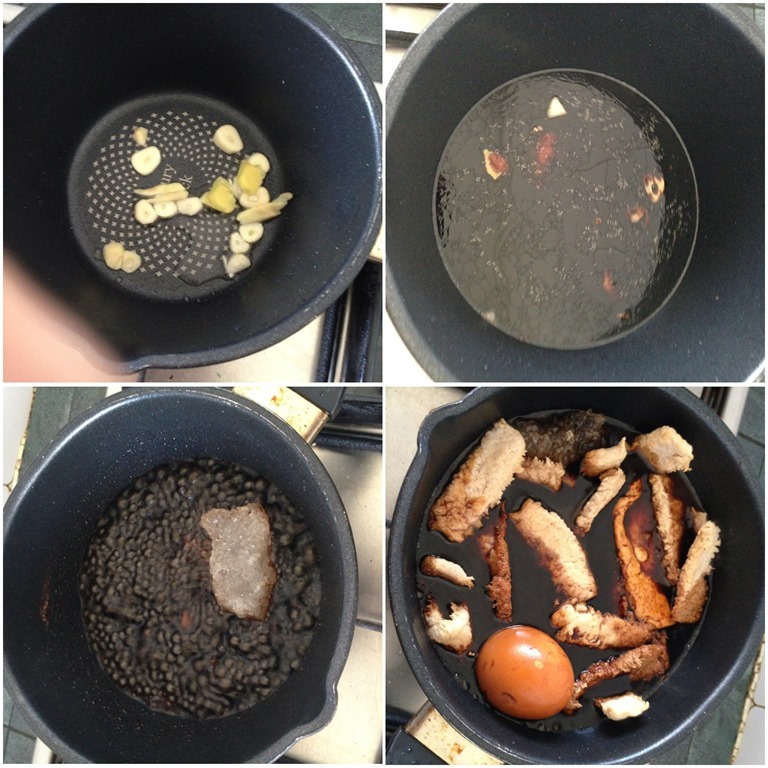 Once boiled, turn to medium heat, add in five spice powder, some rock sugars and items to be braised including eggs. Depending on the items to be braised, if without meat, eggs will need about 15 minutes before the colour sets in the eggs. Off the heat and let the eggs sits in the broth for another 15 minutes for the flavour to penetrate the eggs. 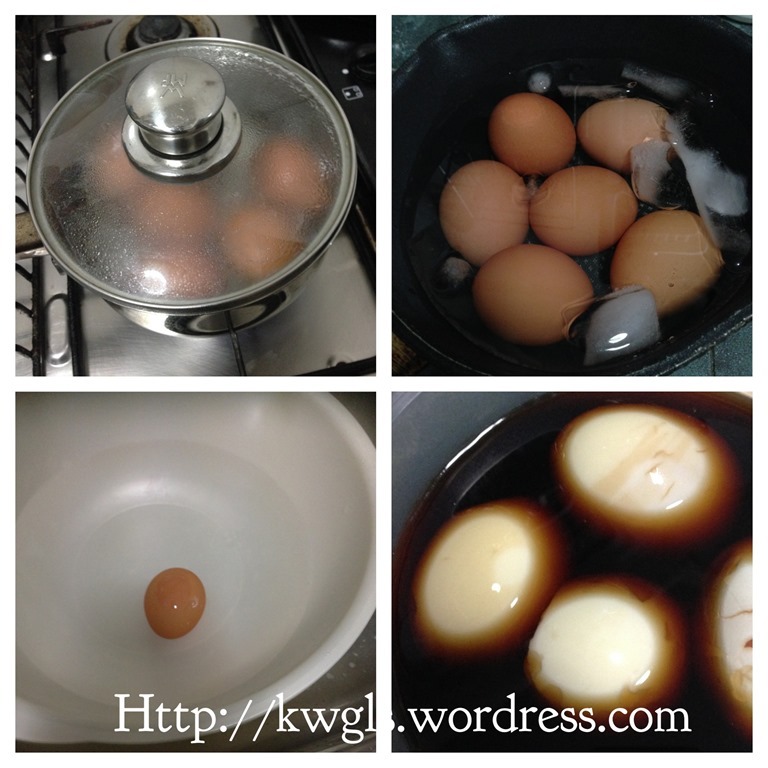 There is a detail pictorial instruction of preparing braised eggs and bean curd. 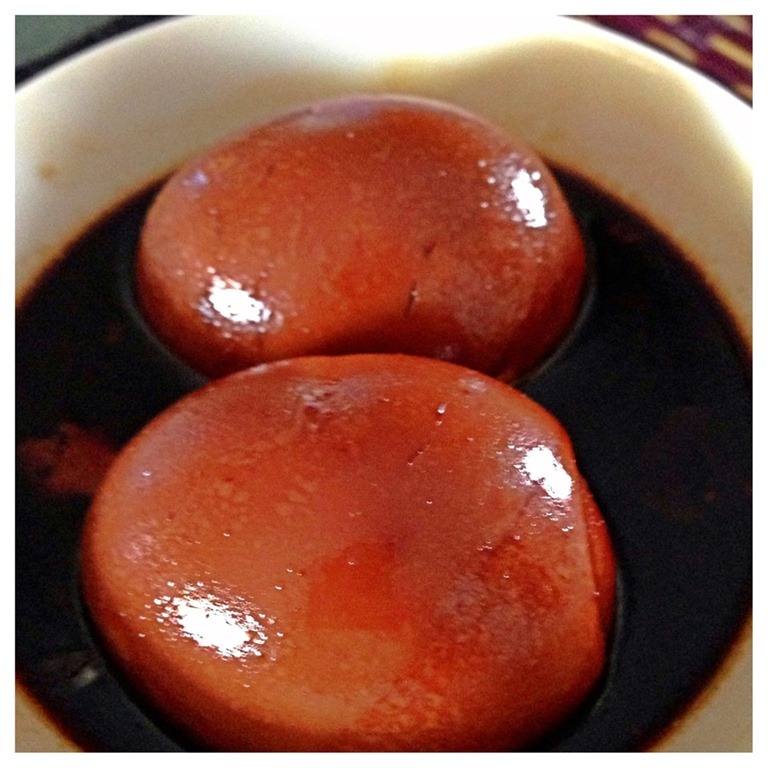 Please refer to Guaishushu’s page recipe D10 – Braised Eggs and Taukwa (卤蛋和豆干）. 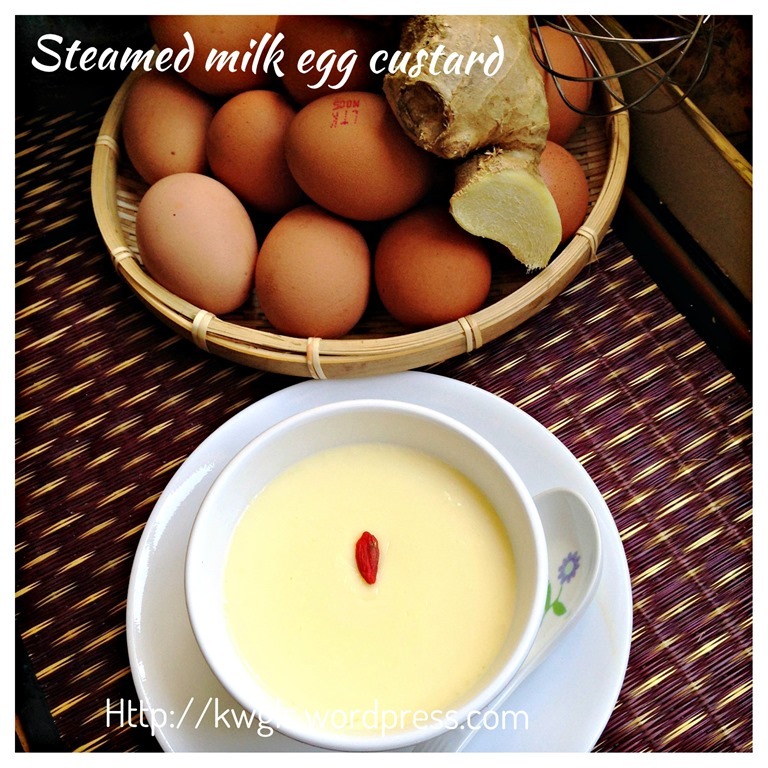 Steamed eggs is another common household dish for Singaporean and Malaysian Chinese. It is also common in Korean and Japanese cuisines. The challenges of steamed eggs is to ensure that the eggs are flat, soft and without any bubbles or holes appearing on the eggs. In order to achieve that, one important point to note is the usage of boiled water when making the egg solution. If tap were used, the water is full of air or oxygen and this will cause the steamed eggs to have lots of holes. 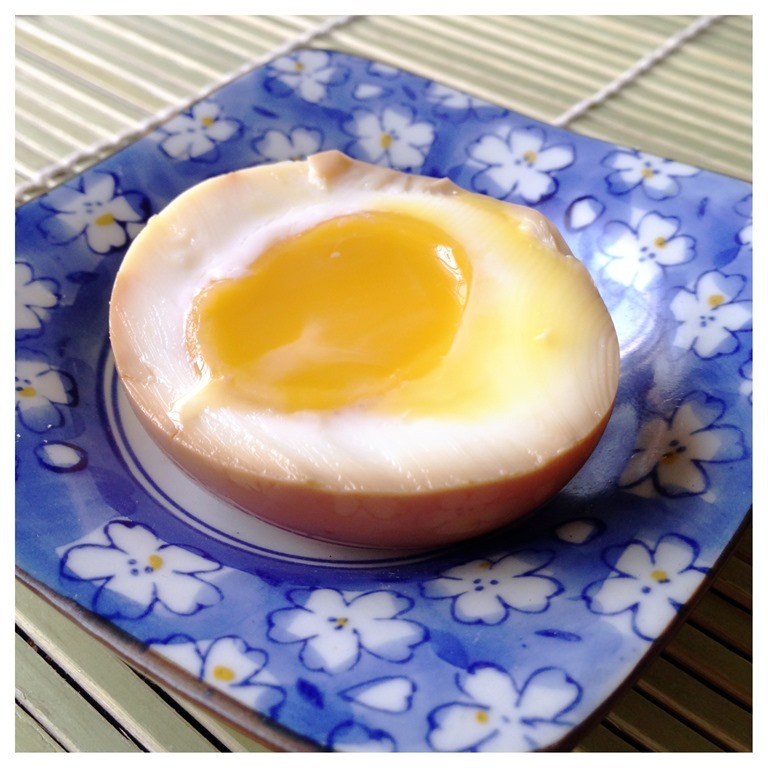 Cooked water are free of air and therefore when steamed, the eggs will be silky and soft. In a big bowl, crack one egg and add in about half a cup of cooked or boiled water (meat broth can also be used). If you want it softer, you can add in more water., Add in all your preferred seasonings, beat until well combined. Sieved and put in a bowl to steam at medium heat. It is considered as done when the eggs are set. 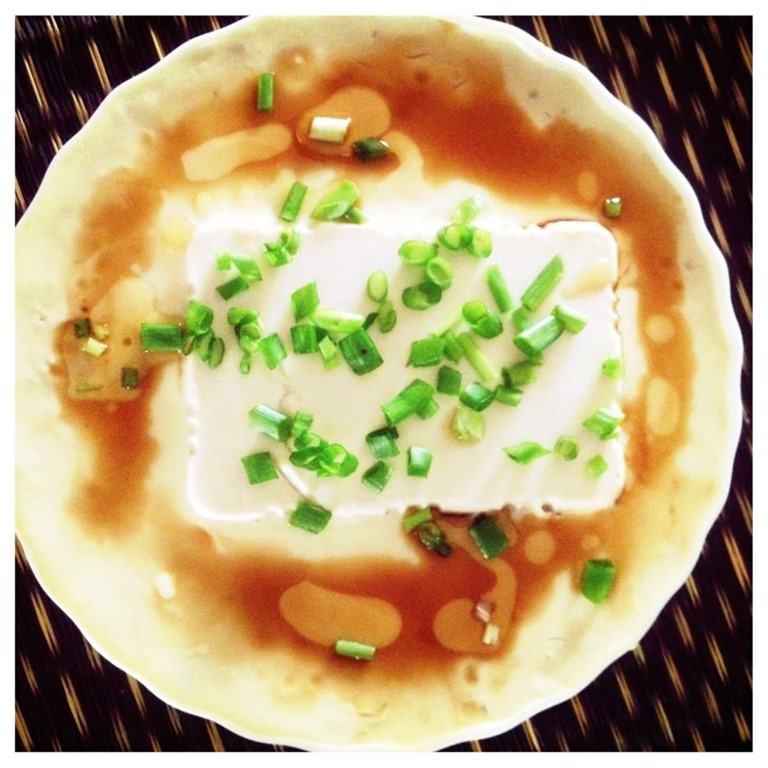 Drizzle with additional seasoning such as sesame oils, light soya sauce if necessary. 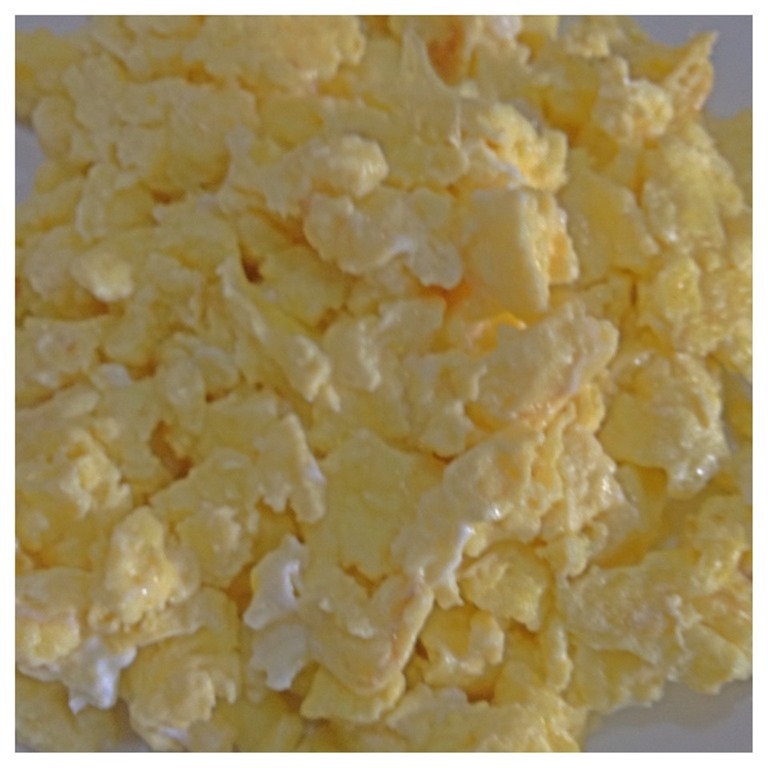 The following is another simple recipe you can try: Crack one egg, add 1/2 teaspoon of corn flour, add one cup of warm to hot water, stir until well combined. Sift the egg mixture to a steaming bowl and steamed under medium to high heat for 15 minutes. 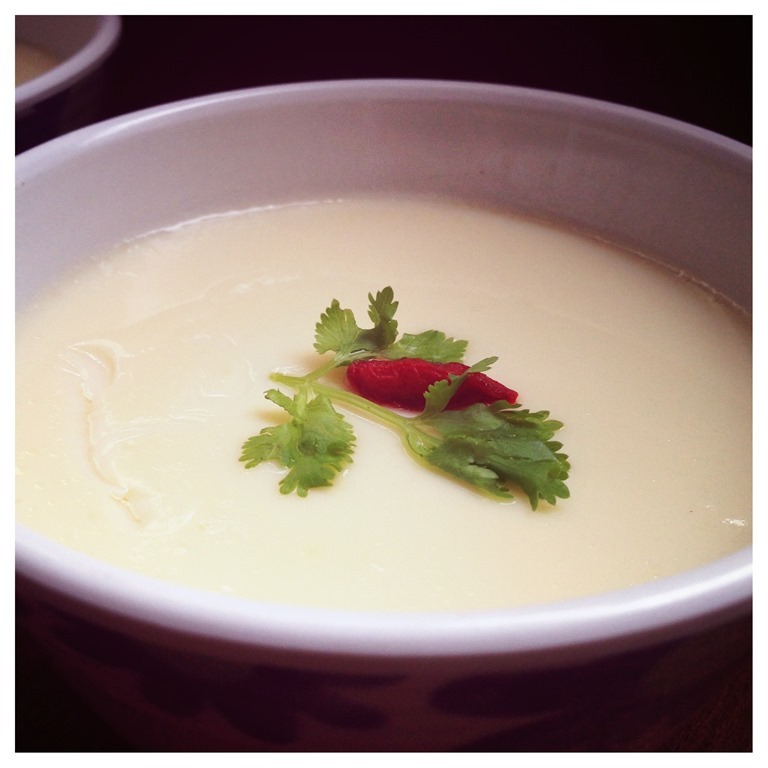 You should have a bowl of nice smooth steamed egg. Certain Chinese cuisines required soups to be thickened with egg solution. In the illustration, I have used some old images that I have photographed for the preparation of Lor Mee. A type of noodle dish where braised meat broth were first diluted and further thickened by using eggs and starches. A perfect addition of eggs should see small pieces of eggs floating in the soup or broth and there should be no lumps of eggs in the soup. 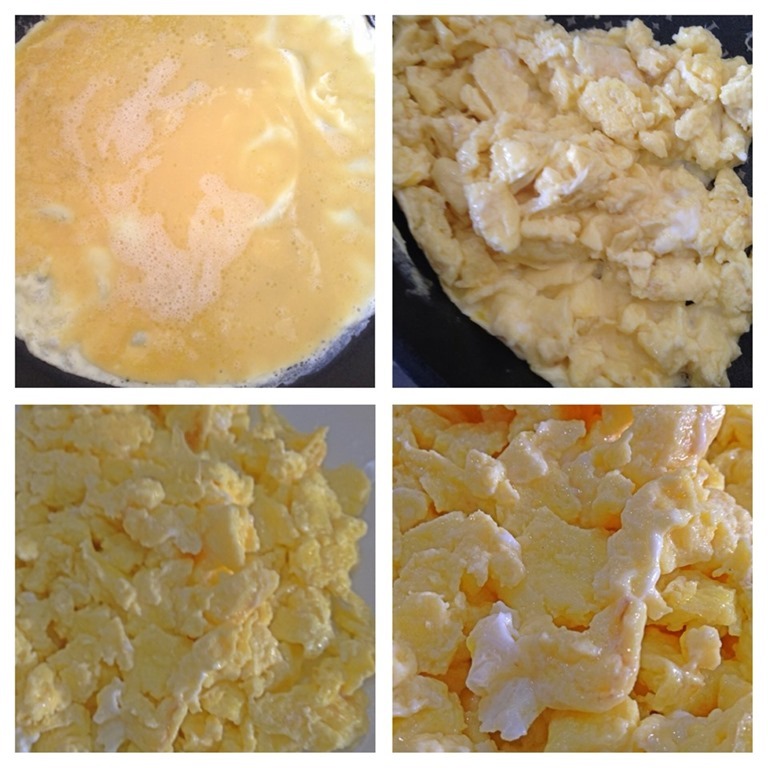 Slightly beat your eggs until well mixed. Use high heat to bring to boil. Once the soup is boiling, slowly add in the beaten eggs and use a ladle to stir the soup in a circular motion as quickly as possible. In that case, you will be able to break the egg solutions even before it solidifies. Everybody how to fry an egg and there is nothing much to say about egg frying techniques except one point. 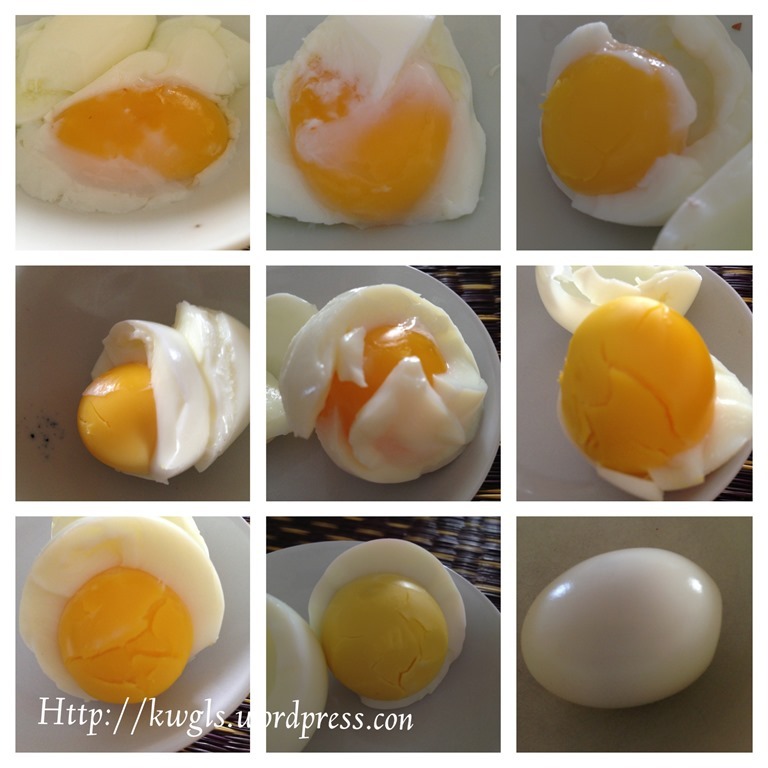 In order to have a “sunny top” type of eggs, you can consider the procedures below. If you follow the procedure, your egg yolks will not be easily broken. Heat up your frying pan and put a teaspoon of oil (optional). Crack your eggs and put a few drops of water around the frying pan. Cover the frying pan to capture the water vapour. Open the cover as soon as the egg is set and egg white is cooked. 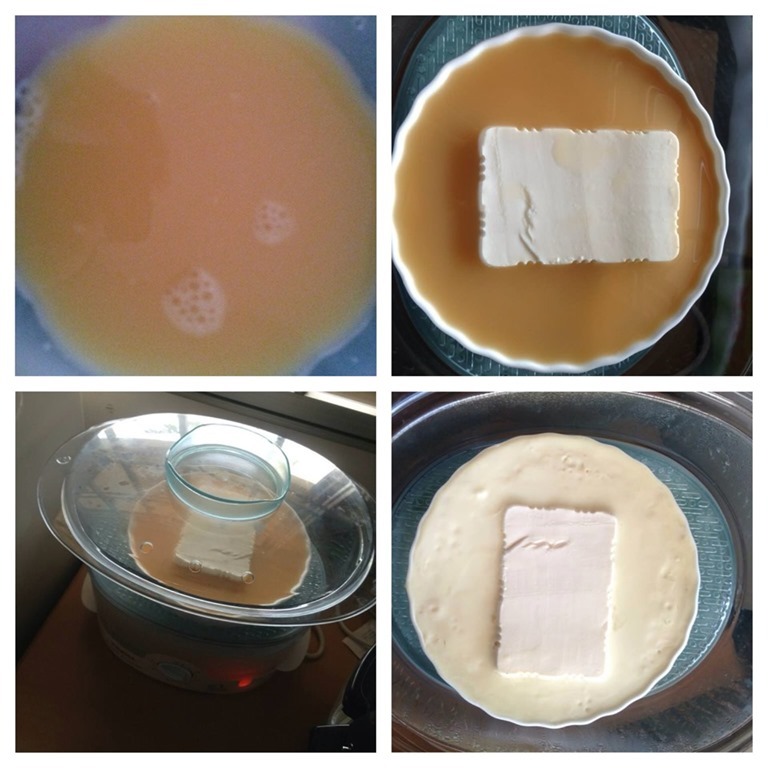 Off the heat and transfer to a serving plate. 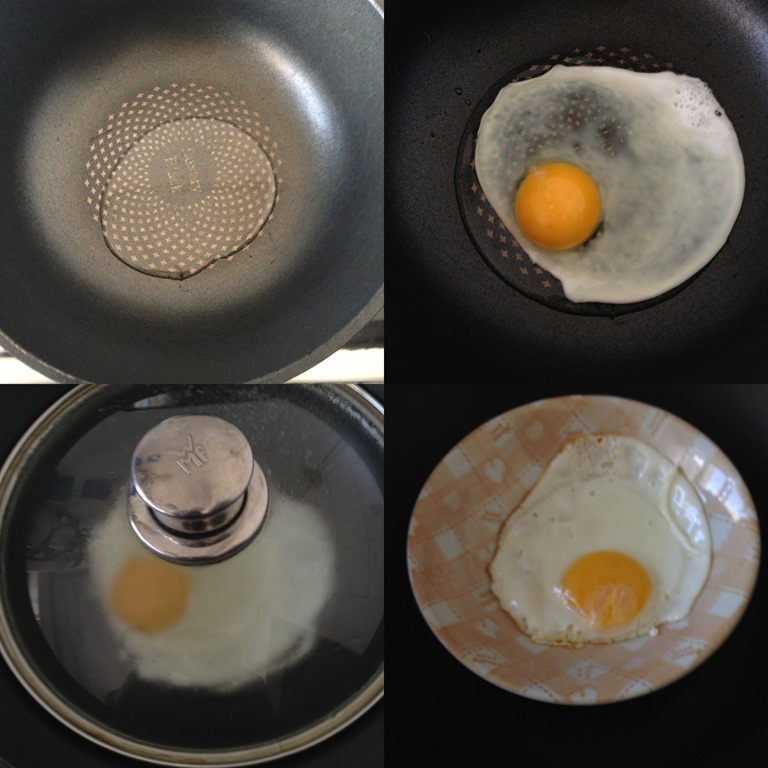 Note that this way of frying eggs is possible without any oils (if using a non stick pan). You can heat your frying pan under high heat, crack your eggs and off the heat immediately. Put a few drops of water around the frying pan and cover the frying pan immediately and let the water vapour cook the top part of the egg yolk. 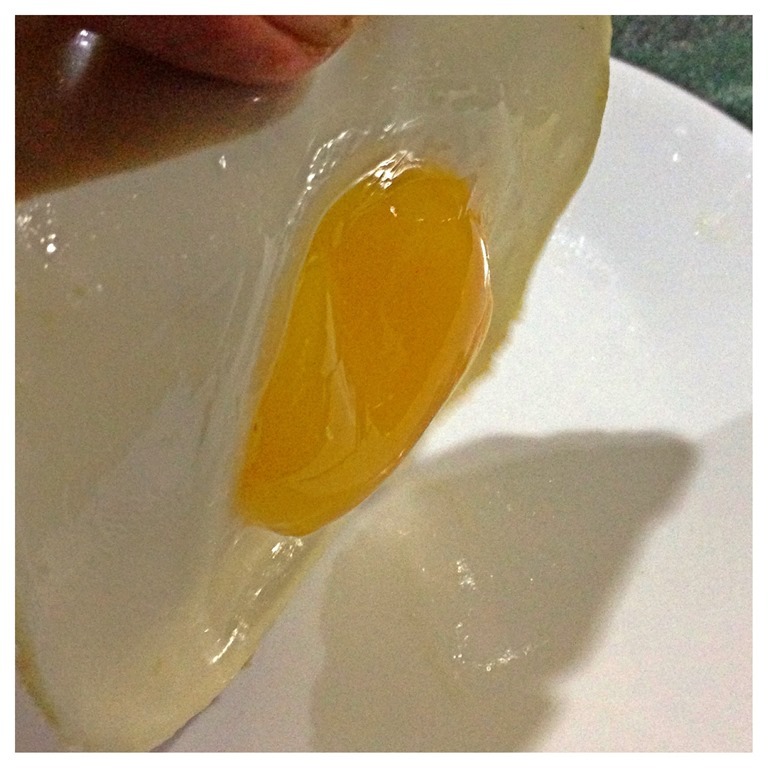 Once the egg white is cooked, the top part of the egg yolk should also have cooked while inside, the egg yolk remains runny. 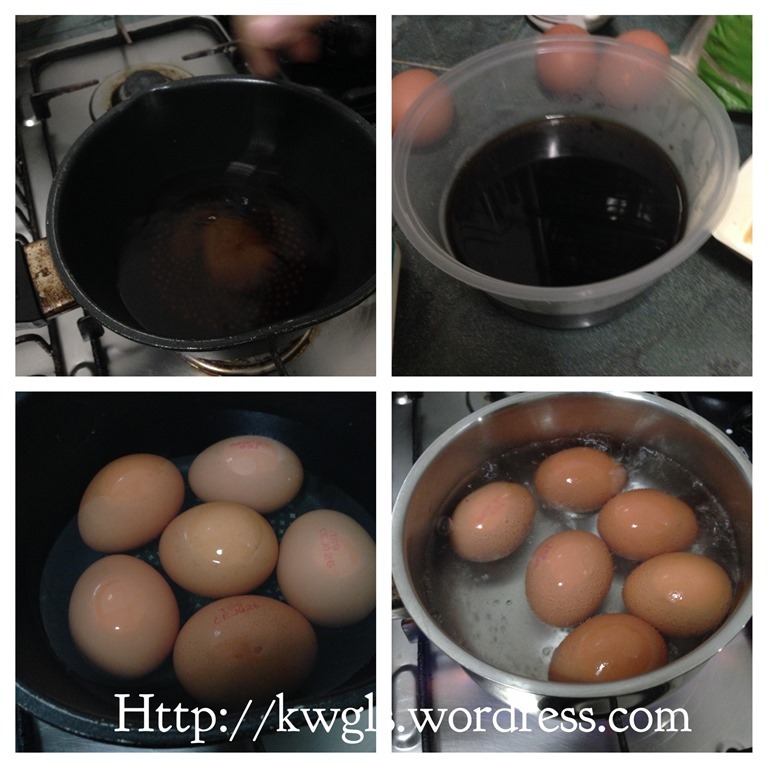 You may want to refer to my Nasi Goreng Aruk post on how to fry eggs without oil. 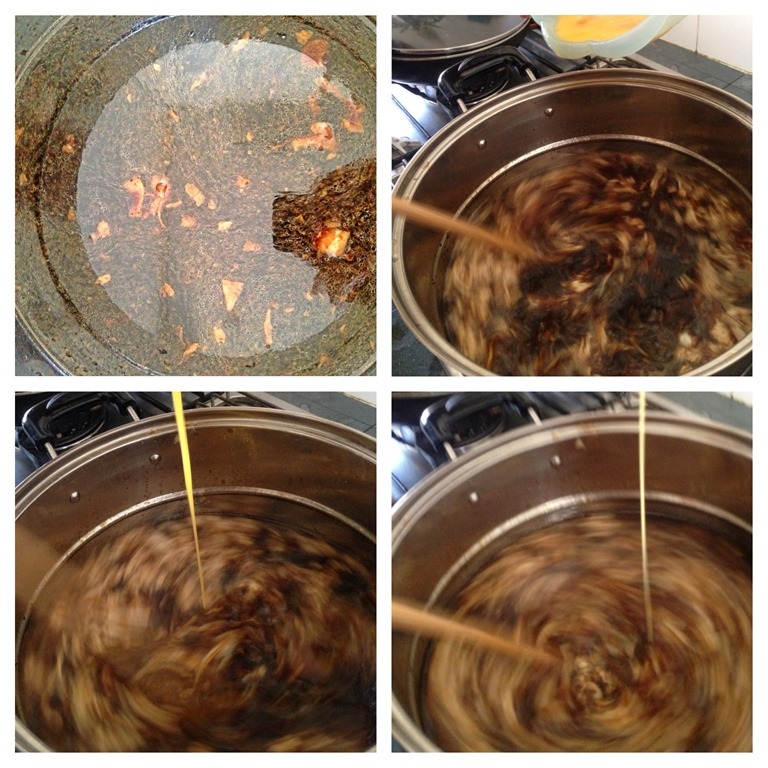 In a pot, heat up the water, sugar, mirin and light soya sauce until sugar dissolved. Set aside for later use. In another pot, put adequate water to cover the eggs. Place the eggs in the cold water. Bring the water to boil under medium heat.Once it boil, let it boil for 30 seconds. When it reaches 30 seconds, cover the pot with the lid and 10 seconds later off the heat. Let it rest in the hot boiling water (with heat off and lid covered) for another 2 minutes. After 2 minutes, transfer the eggs to another pot of icy cold water. Let it rest in the icy water until when the egg is not hot to touch. Peel the shell in the egg in a pool of cold water. Transferred the peeled eggs to the about marinate. Marinate the eggs for at least 4-8 hours before serving. 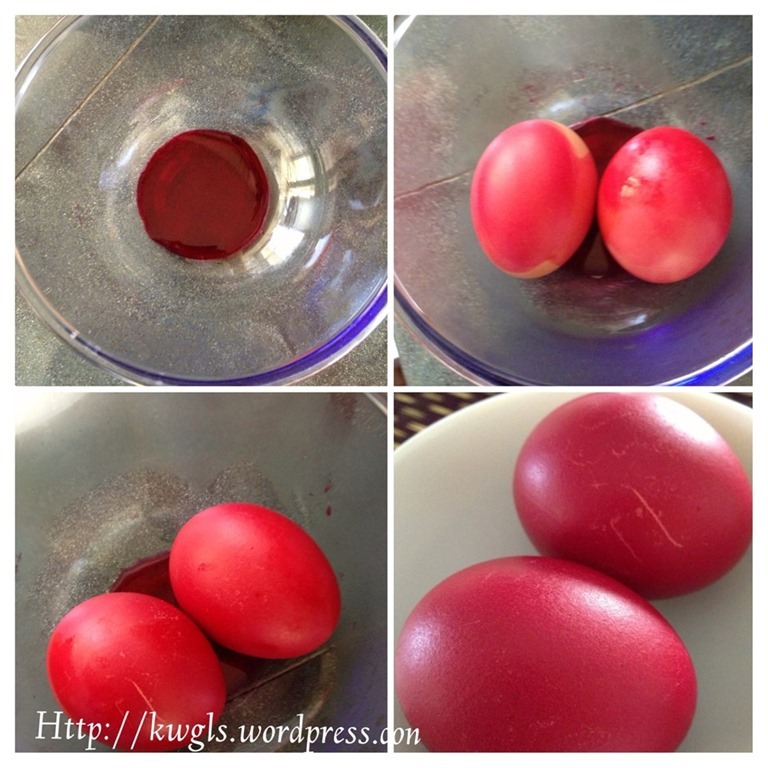 For serving, use a dental floss to cut across the eggs carefully. 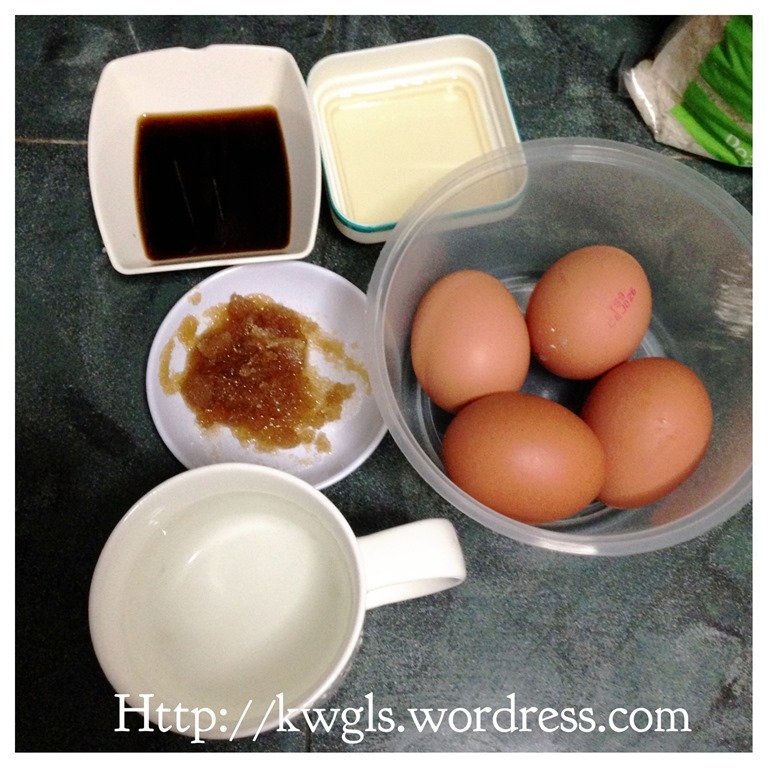 This entry was posted in Food Preparation Series, Interesting Cooking Ingredients Series and tagged 8, Eggs, GUAI SHU SHU, Guaishushu, kenneth goh, postaday. Bookmark the permalink. Wow.. This is just awesome.. no words to appreciate the efforts you have taken to put it all together.